Always the bridesmaid, J.R. Hildebrand almost had it all, only to smack the wall and lose a wheel. It didn't stop him from carrying 2nd place home, however, and let Dan Wheldon take home top prize, a gulp of milk and the wreath...oh and that big, fat check. Hildebrand showed what a classy guy he is by thanking the service men and women for their service at the post-race press conference. Dan Wheldon, driving car No. 98, took the checkered flag after Hildebrand smacked the wall during the last lap of the 100th anniversary of the Indianapolis 500. upon entering the press conference, Wheldon jubilantly announced, "I told you Honda loved me," as a representative handed him a giant plate of food. Digging in to the food, Wheldon joked around easily with media and owners. Elizabeth J. Musgrave is a syndicated columnist, travel writer, music, restaurant and performing arts critic. Catch her as Indy’s Arts & Entertainment Adviser on 93 WIBC, on aroundindy.com, and follow her on Twitter @ejmusgrave1 and Facebook. Gotta Go is published in the following newspapers: South Sider Voice, Indiana Weekender, New Palestine Reporter, Pendleton Times Reporter and Fortville-McCordsville Reporter. They say, "You had to be there," to understand the feeling at the Indianapolis 500. They say, "You either get IT, or you don't." Attending this, my very first Indianapolis 500 race, has been illuminating to say the least. After I was invited to be the arts & entertainment advisor for Joe Ulery on his WIBC Saturday Morning News Show, it was discussed that I should include the happenings at the big oval on the west side of Indianapolis. From Fast Friday to Carb Day to Race Day, the experience has opened another world to me. Although, through Gotta Go I have had many adventures, this one is like no other. Florence Henderson and Jim Nabors performing their traditional songs. Henderson sang "America, the Beautiful" and Nabors proved he is still in top form. Nabors singing "Back Home Again in Indiana" may seem odd since he is not from here, however, he is the adopted son the Hoosier state and has stated numerous times, if not for his health, Indiana would be his home. I must say that it didn't make sense to me, and others per overheard conversations, that Seal sang our national anthem along with Kelly Clarkson. Yes, I am certain he is a great person, and I personally enjoy his talent, but having a non citizen sing any country's national anthem is well, perplexing. With the amount of qualified singers who are actually American, wouldn't it make more sense to have one of those talented Americans singing the American national anthem? What emotional attachment and loyalty can an artist born in England, have for a song about the war for the freedom of another country. Especially considering England is the country from which we separated. I am not hating anyone, or anything, just wondering online what others were saying at the time. The green flag was waved and the 100th anniversary of the Indy 500 began with the new rule of restarts. There is hustle and bustle in the media center in the Pagoda Plaza whenever a car gets too close to the wall, a wreck occurs or when a celebrity like Kathy Ireland walks into the 4th floor press room. Indianapolis draws more than its fair share of celebrities throughout the year, but even more so at Indianapolis Motor Speedway for the race. Lap Leaders: Newgarden 1-2, Wilson 3, Newgarden 4, Krohn 5-11, Newgarden 12, Guerrieri 13-14, Newgarden 15-40. Point Standings: Newgarden 149, Guerrieri 125, V. Garcia 121, Wilson 121, Dempsey 111, Conor Daly 109, Grenier 102, Ostella 95, Krohn 94, Goncalvez 90. 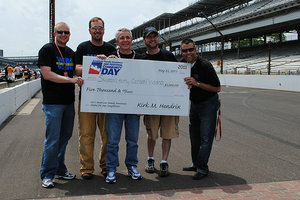 Team WIBC raced to win the Media Pit Challenge at the Indianapolis Motor Speedway Wednesday, May 25. In spite of impending severe weather and mechanical difficulties, local media teams competed to win the $5,000 prize for their chosen charity. For several years, WIBC has chosen The Salvation Army as their benefactor, in addition to the many other ways the station partners with us. Team WIBC won with a time of just over 12 seconds. Our thanks goes to WIBC team members Denny Smith, Joe Ulery, Dan McGowan and Reed Parker for being a fantastic crew! Deborah Simon is Social Media Manager for The Salvation Army. 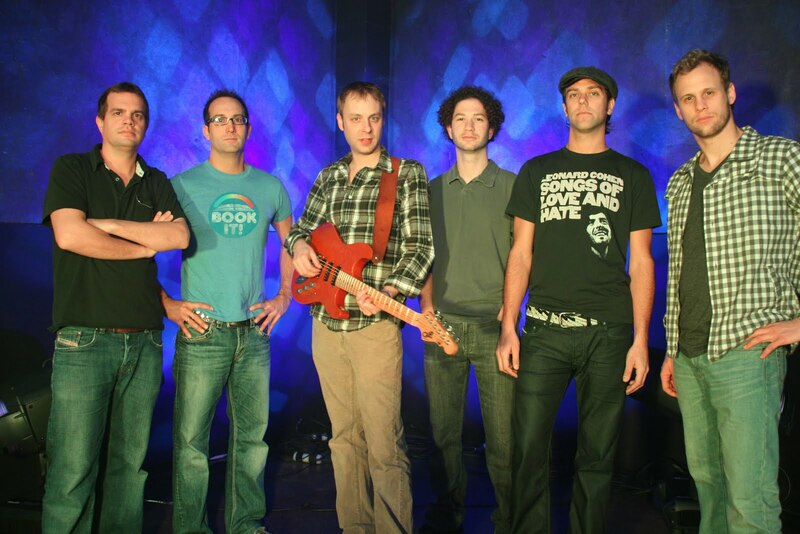 (INDIANAPOLIS, IN) The 1-800-Quit-Now Concert Series at The Lawn at White River State Park today unveiled its summer 2011 season with its strongest and most eclectic lineup to date. The popular music venue is located in White River State Park in Indianapolis and has quickly become one of the Midwest's hottest concert destinations; annually hosting some of the biggest names in entertainment. 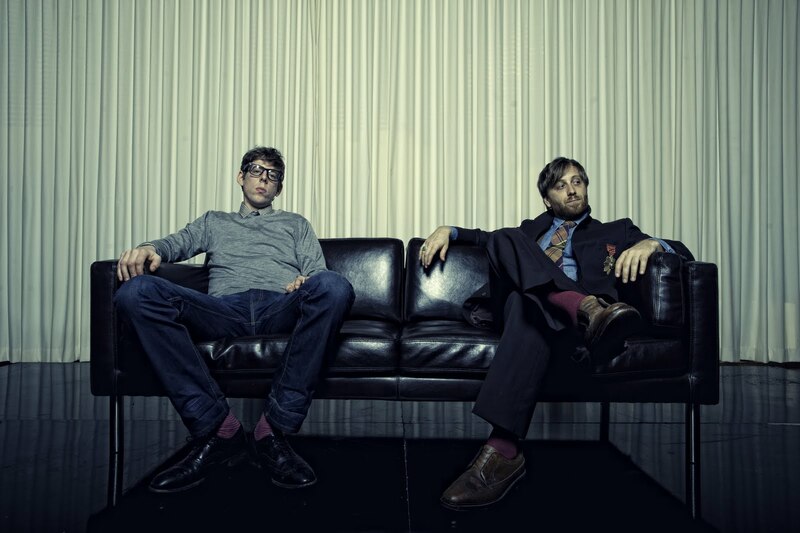 The Lineup: The 1-800-Quit-Now Concert Series at The Lawn at White River State Park welcomes a host of recent GRAMMY® award winners with Arcade Fire and The National on April 27, The Black Keys on June 10 and Ray Lamontagne & The Pariah Dogs on June 14. A special Independence Day concert will feature Florence + The Machine onJuly 4. 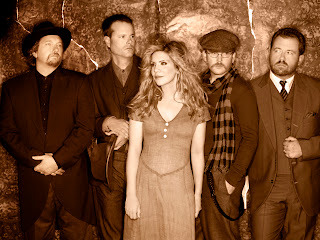 The just added Alison Krauss and Union Station feat. 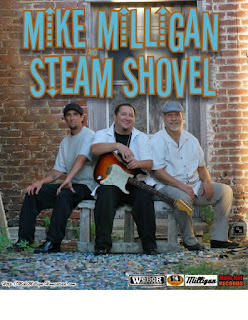 Jerry Douglas live on June 9 and summertime favorites Umphrey's McGee on June 25. The late summer lineup is also taking shape with performances by The Decemberists on August 5, pop superstar Ke$ha on August 23 and The Avett Brothers on October 1. More amazing shows will continue to be added in the next several weeks. Ticket Information: Tickets for concerts at The Lawn at White River State Park are available through LiveNation.com, the Old National Centre Box Office (except day of show), Ticketmaster outlets or 1-800-745-3000. About The Lawn at White River State Park (Tweet @LiveNationIN): The Lawn at White River State Park is located in the heart of downtown Indianapolis. It has been recognized by Pollstarmagazine as one of the top 100 outdoor concert venues for the past five years and has attracted the likes of Bob Dylan, the Allman Brothers Band, The Roots, Moody Blues and Indigo Girls. The Lawn has also hosted major concert multi-day events for the NCAA Men's Final Four among others. About White River State Park (Tweet @WhiteRiverStPrk): White River State Park is the center of Indianapolis culture, offering unique experiences with a variety of educational and recreational world-class attractions. The Park is home to several venues, providing entertainment for a wide range of audiences, including the Indianapolis Zoo, Indiana State Museum, IMAX® Theater, Eiteljorg Museum of American Indians and Western Art, NCAA Hall of Champions, Indianapolis Indians Baseball at Victory Field, The Lawn at White River State Park Concert Series, and the Congressional Medal of Honor Memorial to name a few. To learn more about the Park and its many happenings, visit inwhiteriver.org. Making his debut appearance since accepting his position as Indianapolis Symphony Orchestra's Music Director Designate, Krzysztof Urbanski, wowed the audience Friday, May 20. Walking to the podium, Urbanski, immediately shared his passion for music and his own personal style leaving the audience impressed. Sharing the stage with 28-year-old Urbanski was International Violin Competition of Indianapolis' gold medalist Barnabas Kelemen who performed Sibelius' Violin Concerto. Kelemen received two standing ovations and left the audience wanting more. Bottom Line: Urbanski, receiving a hearty, welcoming ovation, made sure that Indianapolis is aware there's a new sheriff in town with a feisty, playful nature and plans on leaving no one unfazed by his energy. Urbanski will head the Lilly Classical Series in the downtown Hilbert Theatre, located on the Circle. 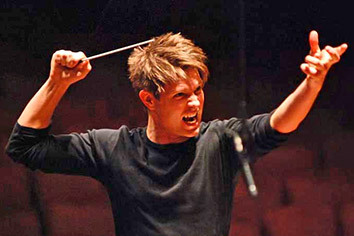 For a full schedule of ISO, visit IndianapolisSymphony.org. Indy 500 Bump Day 2011 Danica Makes It! This is great, updating a little now and then throughout the day. My first motorsports press conference was with Danica Patrick after she qualified for the 100th Anniversary Indianapolis 500 race. So, when asked how she felt after the nail-biter rain, race, rain afternoon, Patrick replied honestly, "I need a drink." Love it. When asked if there was ever another day this scary, she replied, "Well, in 2006, I was doing 211 and 211 is pretty slow..."
She stated she feels very bad for Marco and knows what it feels like to be exactly where is he right now. As lightning threatens and clouds gather at the Indianapolis Motor Speedway, loyal fans stay and don't rush for their cars. I truly don't believe there are fans more loyal than those who withstand inclement weather for their team/driver. The rain has passed and drying of the track has commenced. That is the definition of optimism, folks. Prior to the storm, I meandered about and gathered ideas of places and things going on while you are at the track, including souvenirs, music and food. 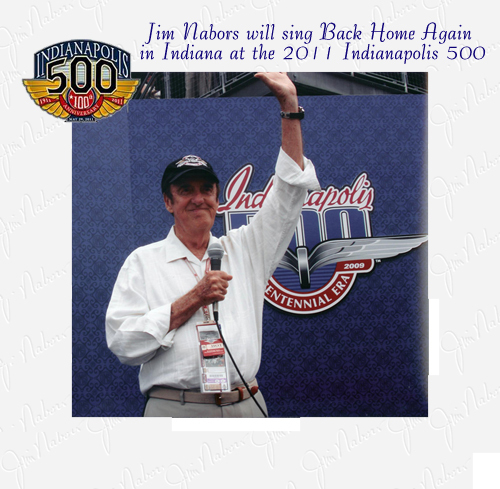 For the Indy 500 schedule click here. Food is the normal fare for anyplace with a midway. The souvenirs are custom for The Greatest Spectacle in Racing including shot glasses, mugs and T-shirts with the 100th anniversary emblem. Also at the IMS Trackside Photo Shop are the ever-popular sock monkeys, this bunch are in tie-dye colours. WIBC is on hand for corn hole games and to give away prizes, lots of prizes, including two free tickets to Race Day, according to WIBC representative Alli Draughn. If a program is your favorite souvenir, you can pick one of those up from Gary Sherritze and help a good cause at the same time. The Masonic Awareness of Northern Indiana is selling them and all proceeds benefit their charitable causes. June 4, 2011 in downtown Indianapolis! Any busy parent knows that getting a meal on the table before your kids break out into the “I’m starving” chant can be a headache! However, quick and easy recipes from The American Dairy Association, Red Gold and Indiana’s Turkey Producers can help prevent those grumbling bellies. And once you get the meal on the table, we’ll talk Traminette for the grownups. Indiana’s Signature Wine goes great with many meals! Nothing says summer like inviting your neighbors and friends over for a dinner party! But does the idea of cooking fro a crowd scare you? It doesn’t have to! We’ll showcase recipes featuring turkey, dairy and tomatoes that all can be made into great dishes and served to friends! The wineries from the Indy Wine Trail will offer their best pairing ideas. Father’s Day is just a few short weeks away! What better way to celebrate Dad than with some of his favorite things to eat and drink! Turkey, Tomatoes, and Dairy all go together to create a perfect meal for that special Dad! Pair that meal with some great wines from he Indiana Wine Trail. They’ll join us to highlight the many great wineries on their Trail in southeastern Indiana. Warm summer days mean our grills are busy! Join the chefs from Clarks Appliance as they showcase their cooking talents and show us what they grill during the summer months! We will also announce the winner of the contest for those Indiana Uplands Wine Trail trekkers who participated in the year long tasting event! Elizabeth J. Musgrave is a syndicated columnist, travel writer, music, restaurant and performing arts critic. Catch her as Indy’s Arts & Entertainment Adviser on 93 WIBC, on www.AroundIndy.com and follow her on Twitter @ejmusgrave1 and Facebook. CHICAGO (May 20, 2011) – Indiana-made Burton’s Maplewood Syrup helped sweeten the morning for Oprah Winfrey and 250 celebrities Wednesday at a private brunch that was part of the festivities surrounding Winfrey’s final TV shows. Oprah’s former personal chef Art Smith hosted the brunch at his restaurant, Table Fifty-Two, as a farewell to the TV host. He ordered 250 maple-shaped bottles of the new rum-infused maple syrup to give to each guest. Each bottled was sketched with “Thank you Ms. Winfrey. XO Julie and Art.” Julie Latsko is Smith’s business partner. 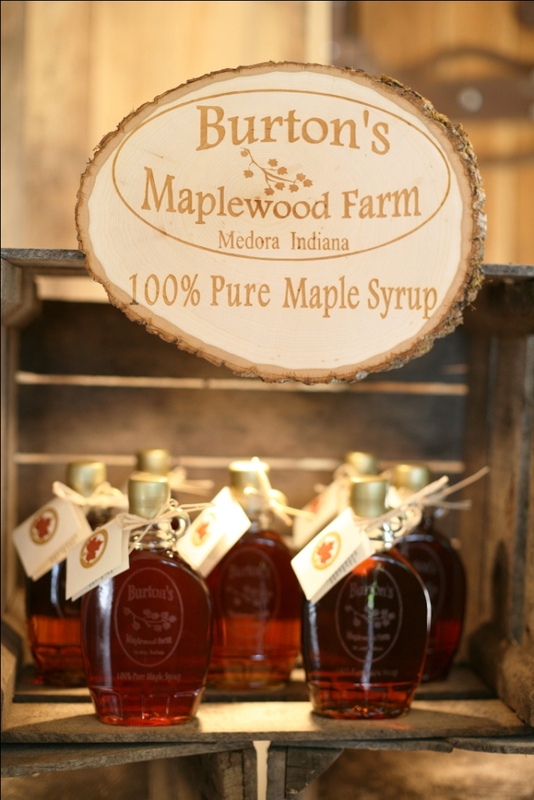 Burton’s Maplewood Farm, a family-owned farm in Medora, Indiana, produces more than 500 gallons of syrup a year and sells it at farmers’ markets in Indiana and Chicago and through an online store. Tim Burton was named an Indiana Artisan in 2009. The new rum-infused syrup is made by aging syrup in 14-year-old Tennessee rum kegs from Prichard’s Distillery. The kegs were hand-picked, hot packed and bottled by owner Tim Burton to ensure the highest, most consistent infused flavor. It has a light buttery rum notes that greet the palette with a nice maple finish. The unique elixir adds a great finished flavor to savory and pastry dishes. For more information, visit www.BurtonsMaplewoodFarm.com. Opens May 14 for the first day of practice in preparation for the 100th anniversary Indianapolis 500 on May 29. Key dates include pole day on May 21 and Carb Day on May 27. Gates open 8 a.m.-6 p.m. for Fast Friday; open practice, noon-6 p.m.
qualifications, 11 a.m.-4 p.m. and 4:30-6 p.m.
Gates open 9 a.m.-6 p.m. for American Family Insurance 500 Festival Community Day; no track activity. Gates open 9 a.m.-6 p.m. for Firestone Freedom 100 practice and qualifying; practice, 9-9:45 a.m. and 11:45 a.m.-12:30 p.m.; qualifying, 3-4 p.m.
Carb Day concert featuring Staind and Papa Roach, 3:30 p.m.
autograph sessions, 9-10 a.m. and noon-4 p.m.; public drivers' meeting, 10:40 a.m.